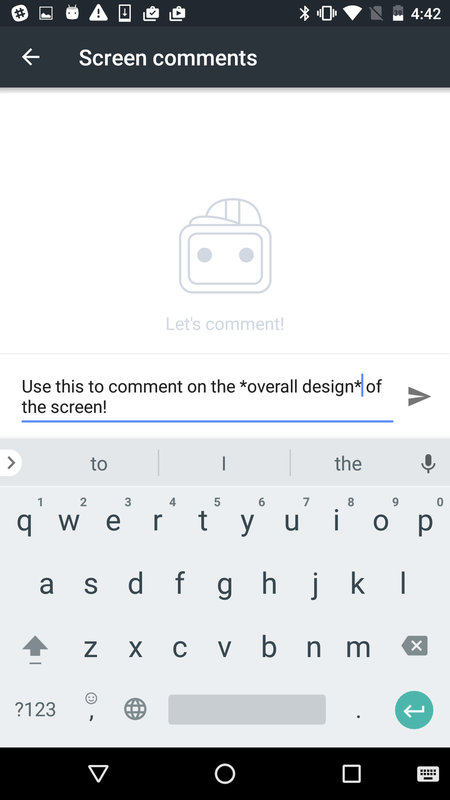 Here's an overview on commenting, viewing, and resolving comments on Prott for Android! 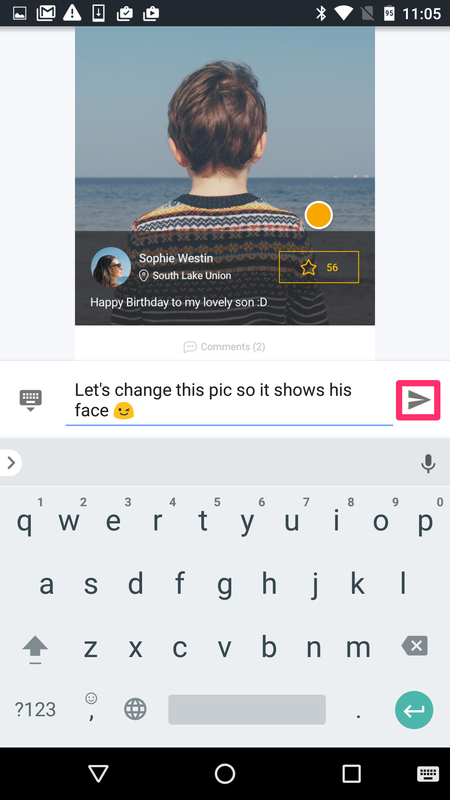 There are two types of comments that Prott for Android's comment feature offers. 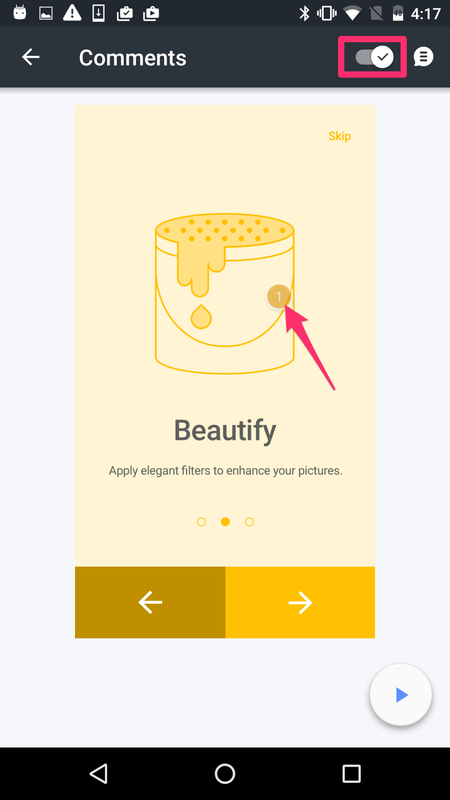 You can either comment on a particular area of the screen or on the overall design of the screen. 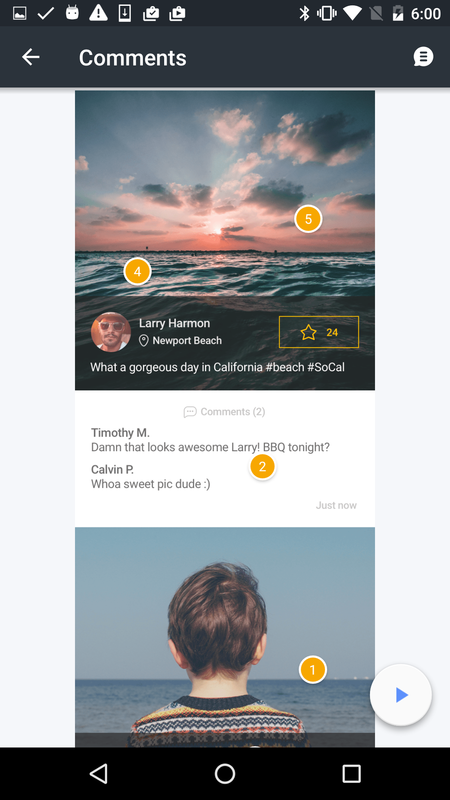 Select the screen you want to comment on and from the top right hand corner, tap the comment icon. 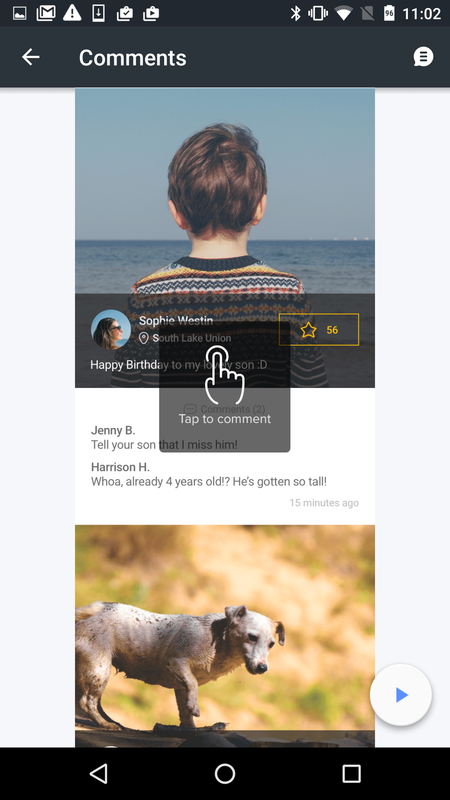 Tap anywhere on the screen to begin commenting. A yellow pin will be placed in the area where you commented on. Once you've finished making your comment, tap the send button. 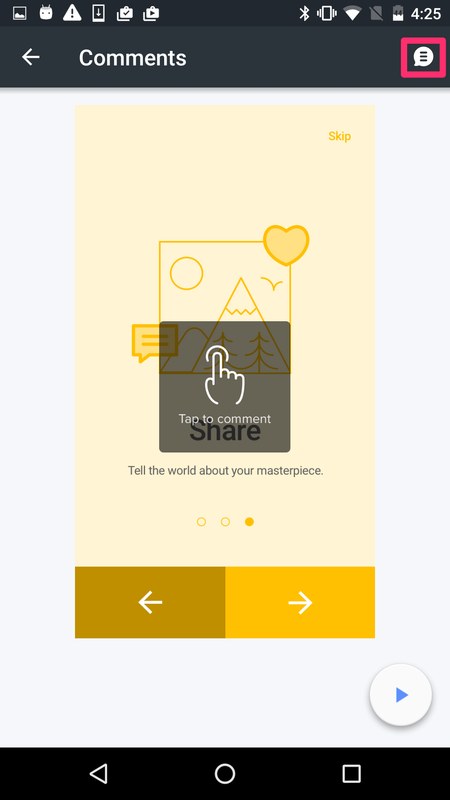 Select the screen and from the top right hand corner, tap the comment icon. 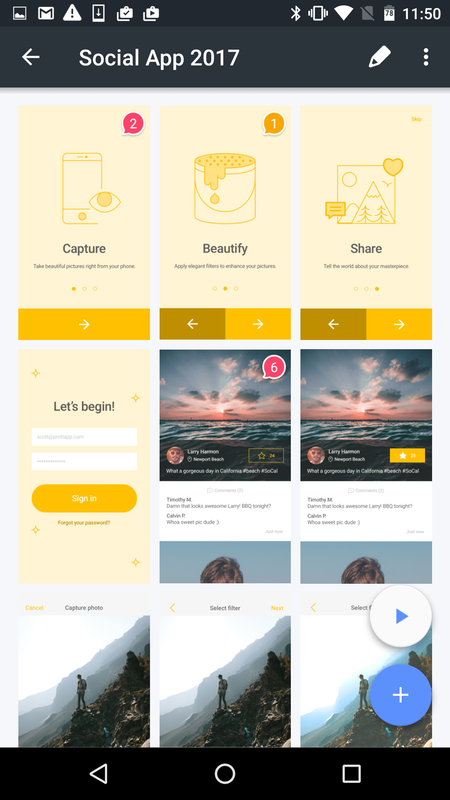 Enter your comments and tap the send button once you are done. Comments made on the screen will be pinned in sequential order to make it easier to locate. Comments that have not been read will be displayed in pink. The numbered comment icons represent the total number of comments that have been made on that screen. The comment icon displayed in pink represents unread comments. Tap the pink comment icon to go to the unread comment. To stay organized, you can resolve comments by selecting the pinned comment and tapping the toggle bar. 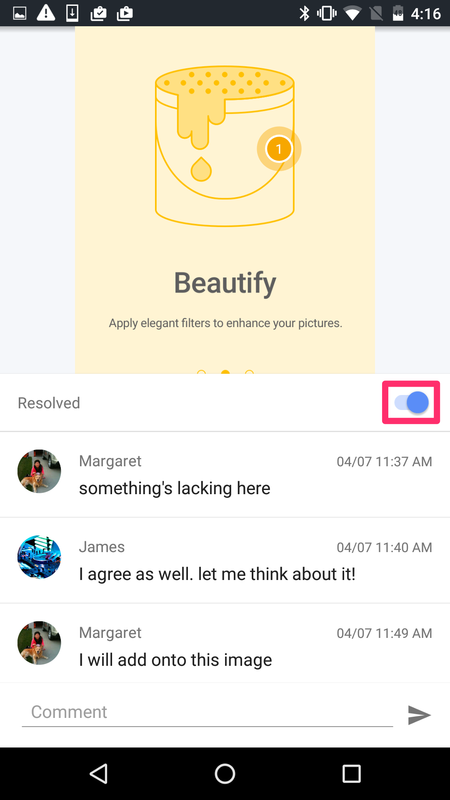 Comments made regarding the overall design of the screen cannot be resolved. 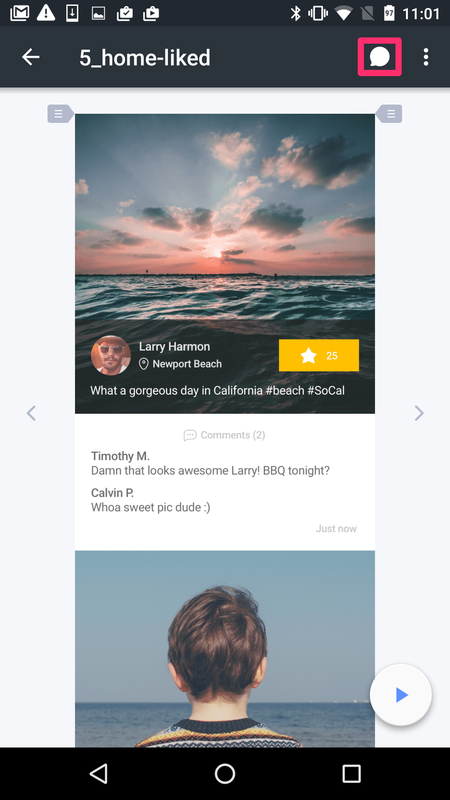 To view comments that have been resolved, simply select the screen and tap the toggle bar. A translucent pinned comment will appear. Tap the pin to view the resolved comment.